Want to exhibit at Build It Live? Recently the distinction between general home shows and self-build exhibitions has lost focus. Many self-build events have introduced non-core products in an attempt to boost floor size and increase footfall, weakening visitor quality and the likelihood of good leads. At Build It Live we are dedicated to focusing on our self-build roots, to make sure our shows only target serious self-builders and renovators. We’re passionate about remaining as practical and tailored to self-building as possible and we want you to share in that passion. When you exhibit at Build It Live, you’ll be sure that you’re meeting the right people in the right area, and taking away the best quality leads for your business. It is proven that exhibitions are one of the strongest sales lead generators, since customers are more likely to spend money with companies they have met in person. Face-to-face communication makes it easier to promote your strengths, spread the message about your products and services and gain brand awareness. We select exhibiting companies for their relevance to the market – in fact we reject companies if we believe they don’t suit our audience as we are committed to delivering a 100% focused exhibition. 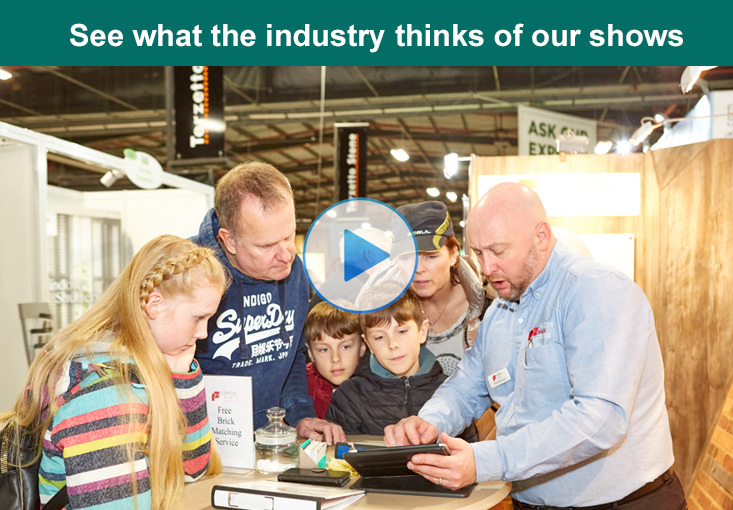 The three Build It Live shows welcomed nearly 16,000 visitors in 2018, the majority with active projects. In 2018, 71% of them were ready to go or underway with their projects, 69% of self-builders were prepared to spend between £125,000 and £5000,000 and 61% had committed to travelling over 45 minutes to attend, proving the quality of our audience and the attraction of our shows. 80% of our visitors this year told us they had not recently visited any other self build show – so not only are the people you’ll meet the right people, they’re also totally unique to Build It Live! The varied locations of our three annual shows means accessing affluent self build pockets across the UK is easier than ever. In February our shows in Kent and Manchester tap into the lucrative South East region, as well as Cheshire and the whole of the North West. Meanwhile our South Central show in June allows exhibitors to meet high-spending customers at the only dedicated show for the lucrative counties bordering Oxfordshire. 5,541 visitors attended the 6th Build It Live South East in February 2018. This is now established as the premier self build event tapping into the lucrative South East regions – a hotspot for self builds. This year’s South East show took place at the purpose-built, award winning Kent Event Centre, just North of Maidstone between the M25, M2 and M20 motorways and within easy reach for the whole of the South East. 5,485 visitors attended the 4th Build It Live North West, which took place at EventCity in Manchester in February. The show brought visitors from Cheshire and the whole of the North West region. 4,708 visitors attended the 3rd Build It Live Show in Oxfordshire, which took place at Bicester Heritage, just 5 minutes away from Graven Hill, the UK’s largest self build scheme. Visitors came from the spread of Home Counties to the west of London including Oxfordshire and Buckinghamshire.